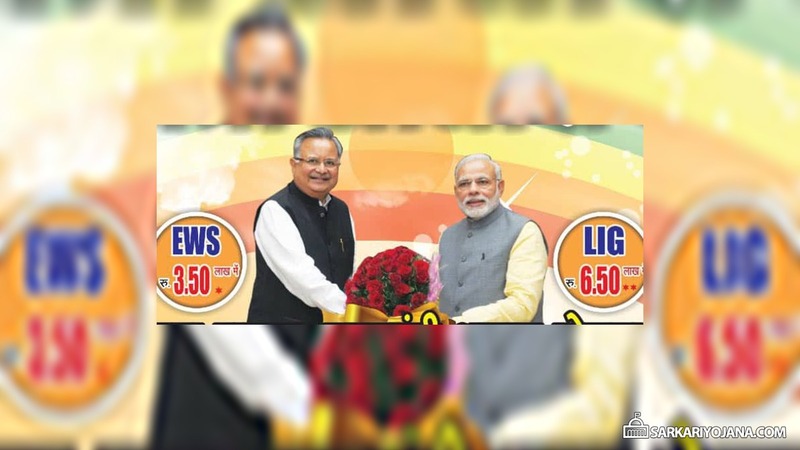 Mukhya Mantri Awas Yojana in Chhattisgarh is an affordable housing schemes under which EWS and LIG homes will be constructed. The state government will provide a financial assistance to the eligible EWS and LIG applicants. Mukhya Mantri Awas Yojana in Chhattisgarh is a part of Pradhan Mantri Awas Yojana of central government. The home buyers under the scheme will get financial assistance from both state and central government. 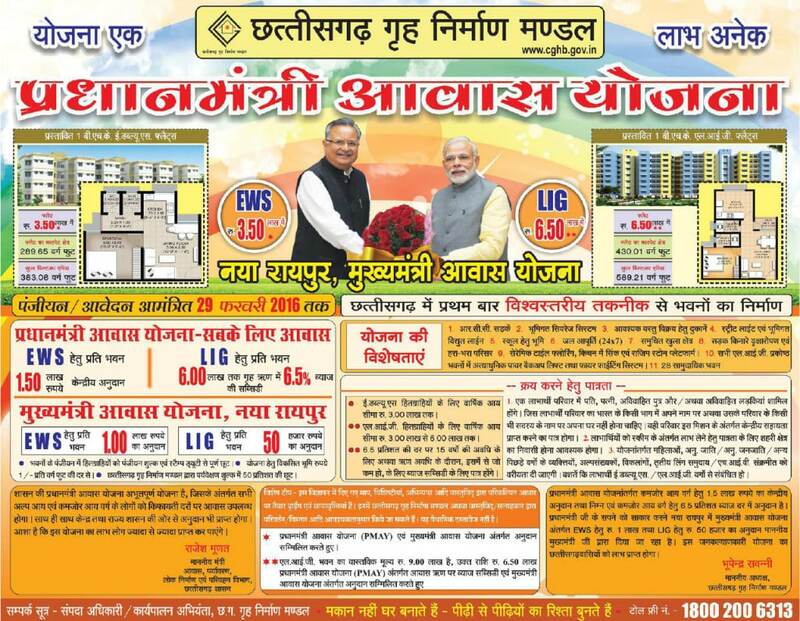 The whole construction, management and sale of the flats will be managed by Chhattisgarh Housing Board. Under the Mukhya Mantri Awas Yojana, a grant of Rs. 1 Lakh to EWS and Rs. 50 thousand per house to LIG will be provided. The grant under the PM Awas Yojana for EWS would be Rs. 1.5 Lakh while the LIG home buyers will get a subsidy of 6.5% on interest rate for upto a loan of Rs. 6 Lakh. The homes for the economically weaker section of the society would cost about 3.5 lakh while LIG homes would be sold at a starting price of 6.5 lakh only. 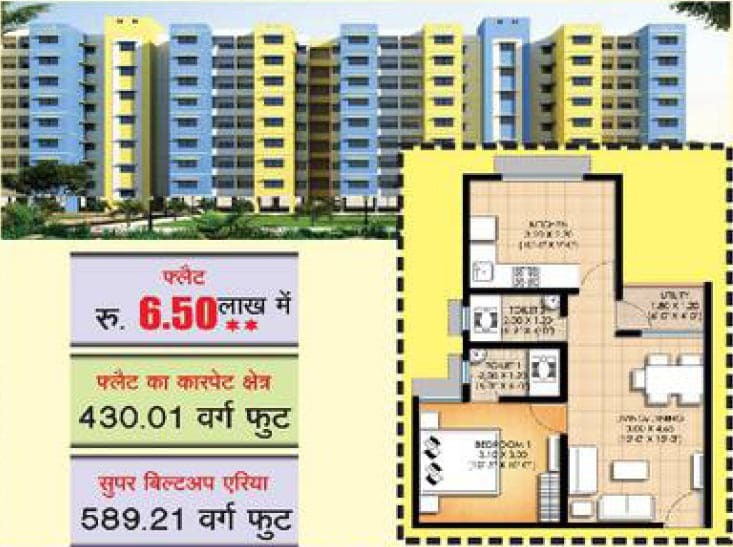 This is the final cost of the flats after deducting the grants under PM Awas Yojana and Mukhya Mantri Awas Yojana from the actual cost of the flats. 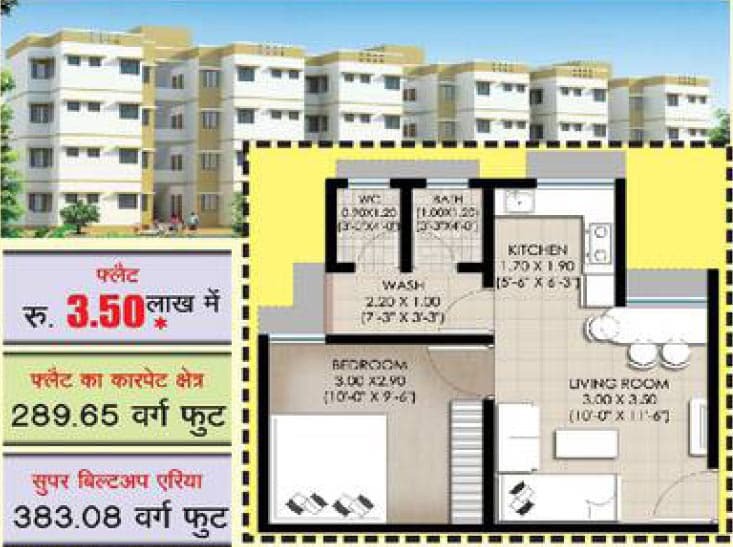 Both LIG and EWS homes are one BHK with a carper area of approximately 430 sq.ft. and 290 sq.ft. respectively. The Super built up area of the LIG and EWS flats is 589.21 sq.ft. and 383.08 sq.ft. respectively. The annual family income of the EWS applicants should not be more than Rs. 3 Lakh. The beneficiary family includes husband, wife and unmarried children. The beneficiary should not have any home in his/her or children’s name in any part of the country. The applicant should be a resident of urban area to take part in the scheme. Women, Physically Challenged, people belonging to SC/ST will be given preferences under the scheme provided they belong to EWS or LIG category. sir iski last date kab tak hai ya or aage badhne ki sambhavna hai kya ???? Please provide whole information about process for applying this. What is the process for applying ?? Mention site .. If you can !